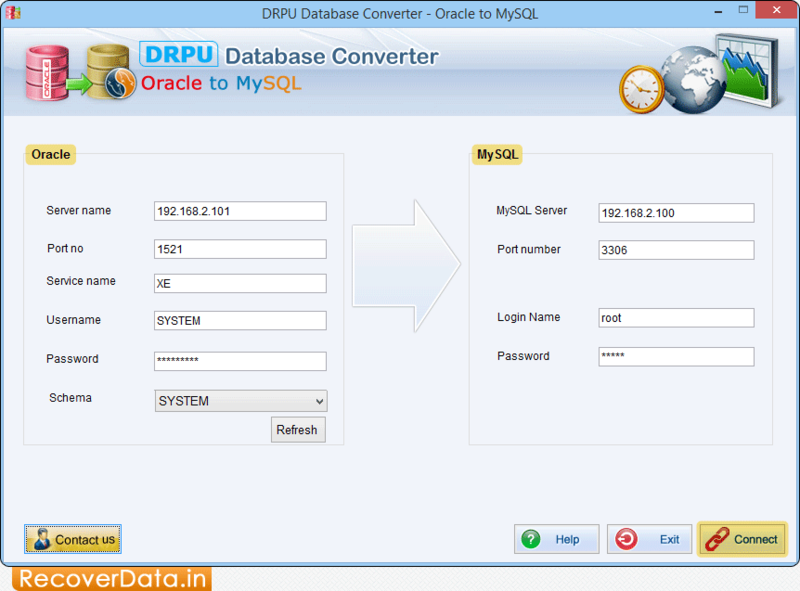 Enter all required fields of Oracle and MySQL. 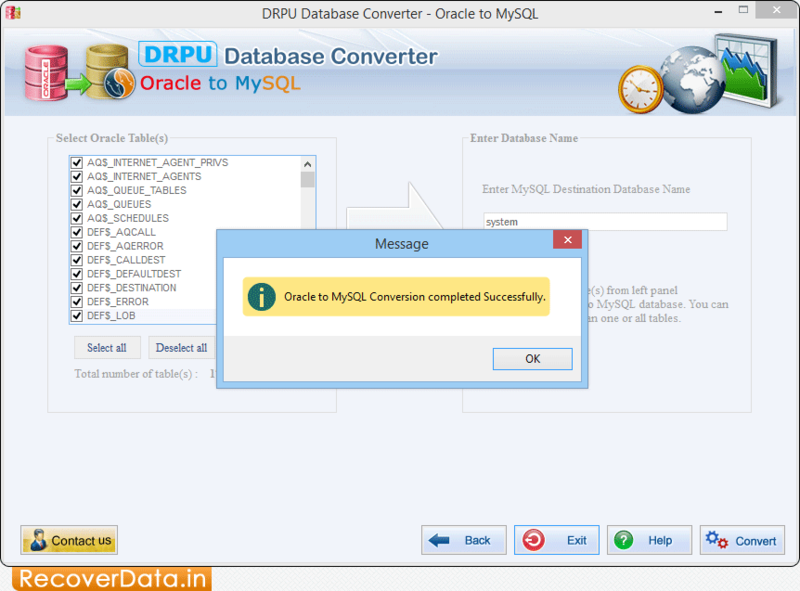 Click 'Connect' button to establish connection between Oracle server and MySQL server. 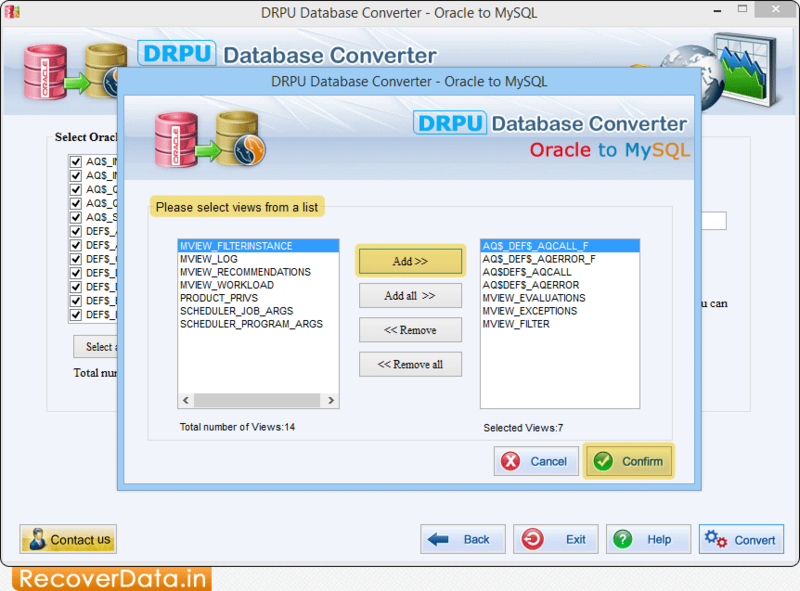 Select views from a list and click 'Confirm' button to proceed. 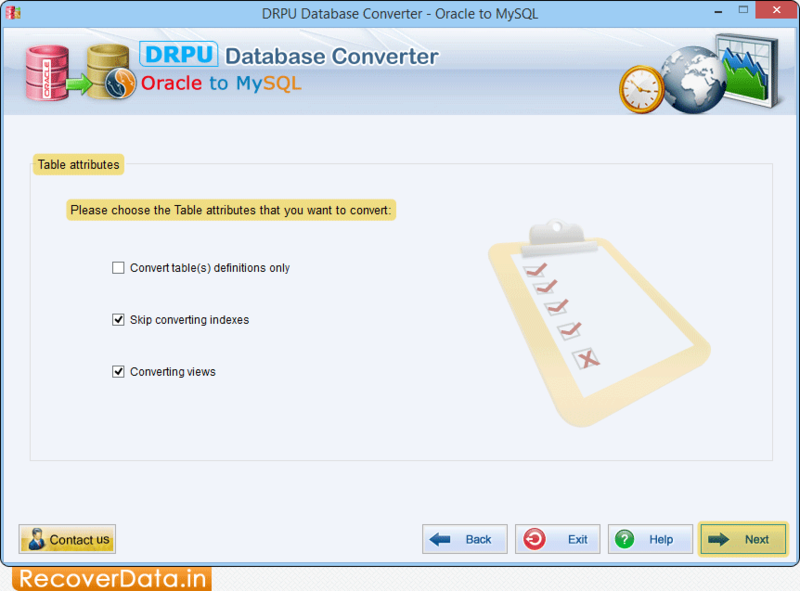 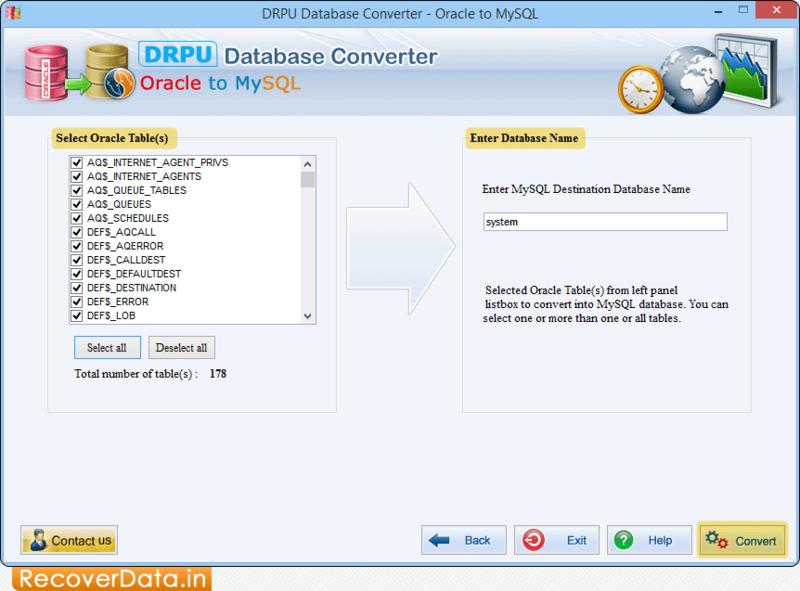 Oracle to MySQL Database Conversion process is going on. 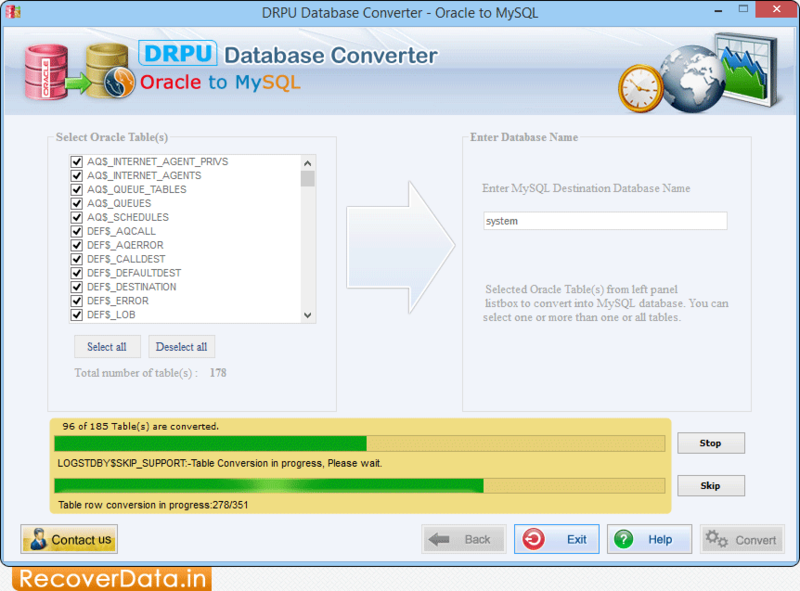 Here, you can see that Database Conversion Process completed successfully.